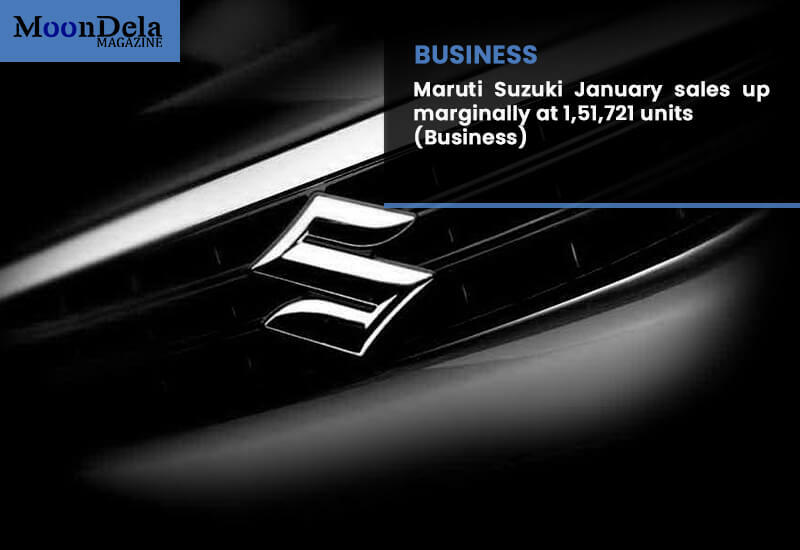 The nation’s largest carmaker Maruti Suzuki India Friday reported that a significant increase in its sales at 1,51,721 units in January. The company had sold 1,51,351 units in January this past year, Maruti Suzuki India said in a statement. In the national market, the company sold 1,42,150 units as against 1,40,600 units at the exact same month this past year, a rise of 1.1 percent, it added. The mini segment, including Alto and WagonR, witnessed sales of 33,408 units each month as from 33,316 units in January 2018, slightly up by 0.3 percent. However, a compact section which is composed of models like Swift, Celerio, Ignis, Baleno, and Dzire seen a decrease of 3.5 percent in 65,523 units compared to 67,868 units in January this past year. The company further said sales of its own midsize sedan Ciaz fell by 42 percent from 5,062 units in January 2018 to 2,934 units. Revenue of utility vehicles like S-Cross, Vitara Brezza, Ertiga, and Gypsy stood at 22,430 units as contrary to 20,693 units at precisely the same month last year, a growth of 8.4 percent, MSI added. Exports during last month declined by 11 percent from 10,751 units in January 2018 to 9,571 units.